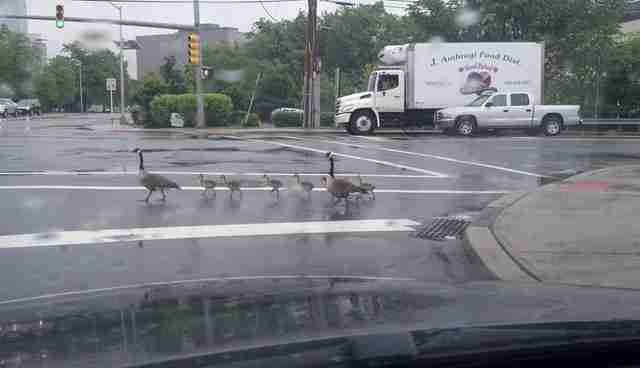 Why did all these animals cross the road? Probably because they all had very important things to do on the other side. 1. 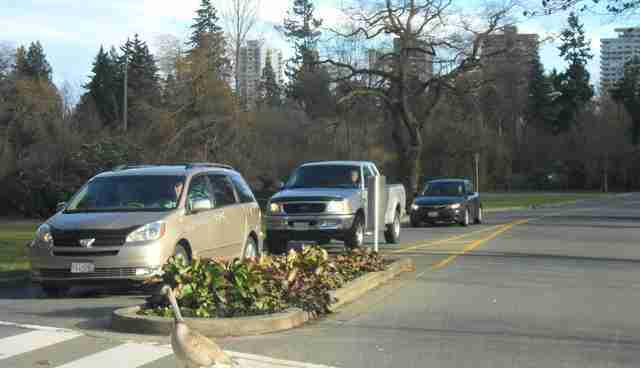 This goose made her way delicately across an intersection. 2. 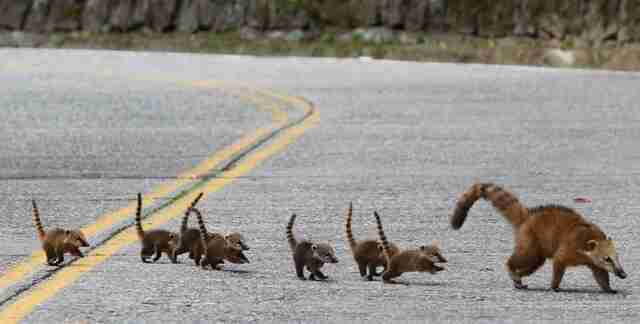 This coati mom and her babies pranced adorably across the road. 3. This elephant calf had some extremely important business on the other side of this road. 4. 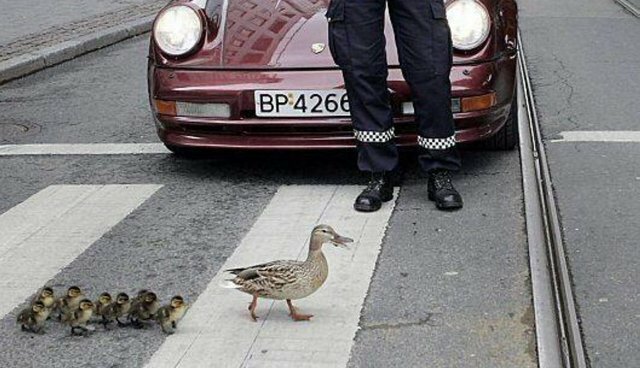 This family of ducks had some official help at the crosswalk. 5. 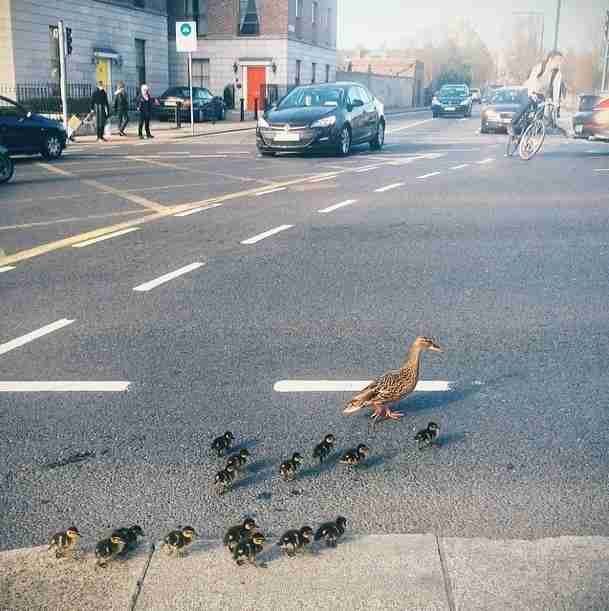 This mama bird and her babies stopped traffic. 6. 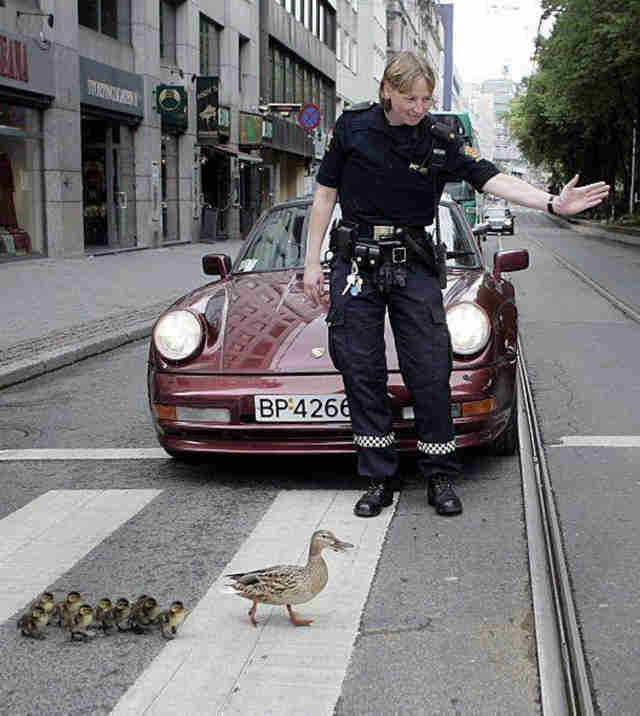 This law-abiding family didn't quite make the light. 7. 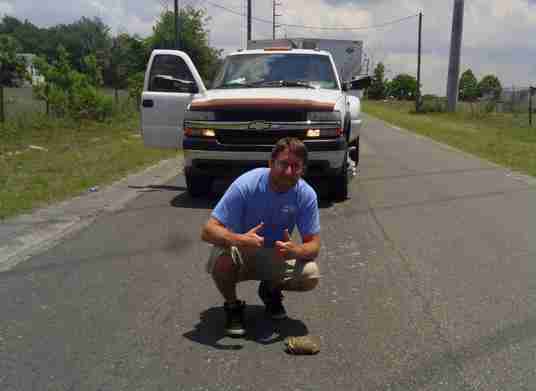 This tortoise got help from a patient human while he crossed the road. 8. This lil' fella paused to say hey before jogging off. 9. 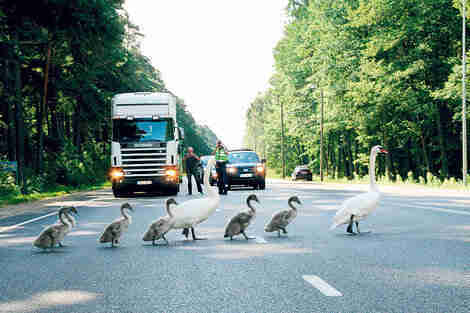 These swans can thank the police for making sure they got to their destination. 10. 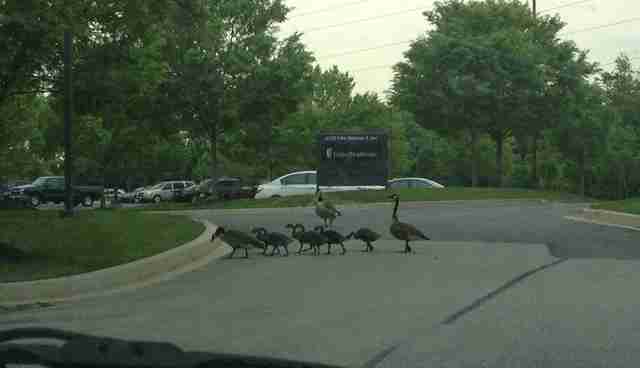 These geese couldn't remember where they parked the car. 11. 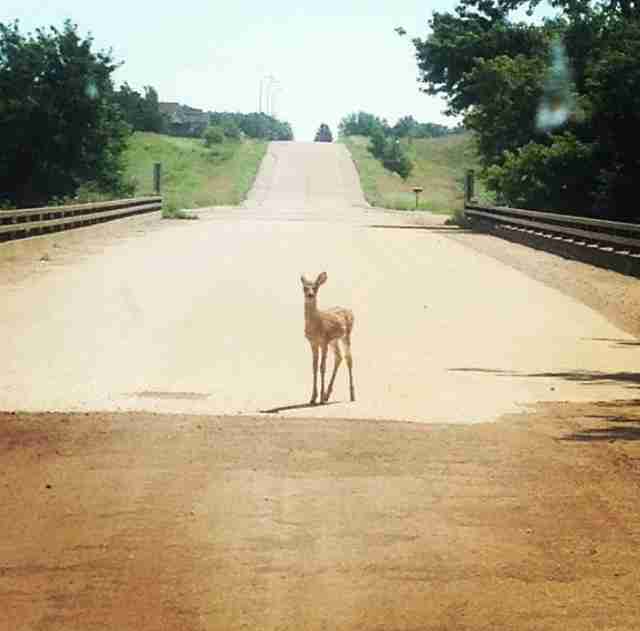 This polite deer waited for a walk sign. 12. 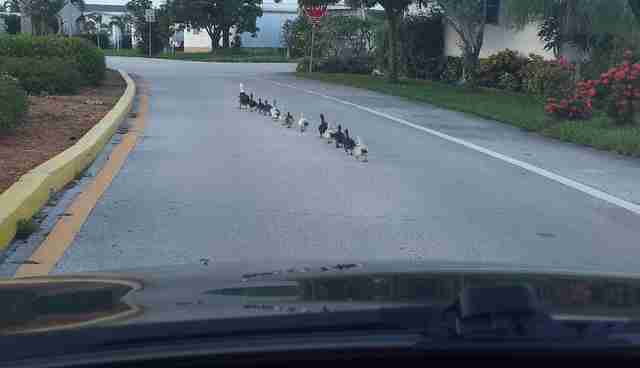 Of course these birds are waiting at the stop sign. Why wouldn't they? 13. 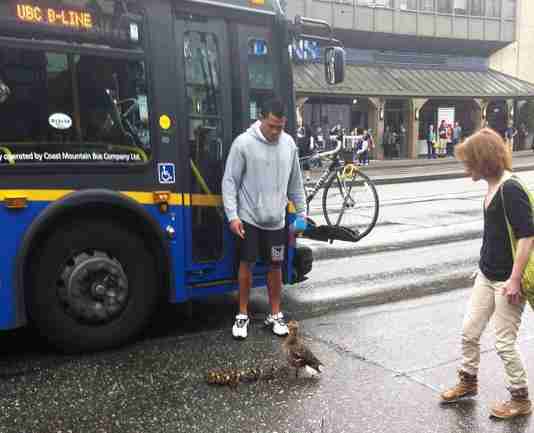 This duck family isn't sure if this is the right bus. 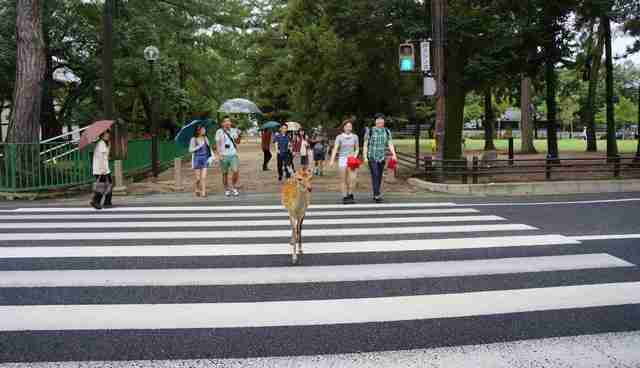 Must be tourists. 14. 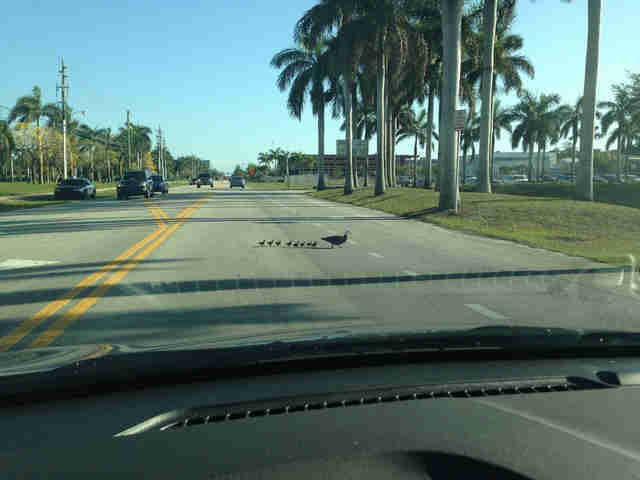 Isn't the bird lane right next to the bike lane? 15. 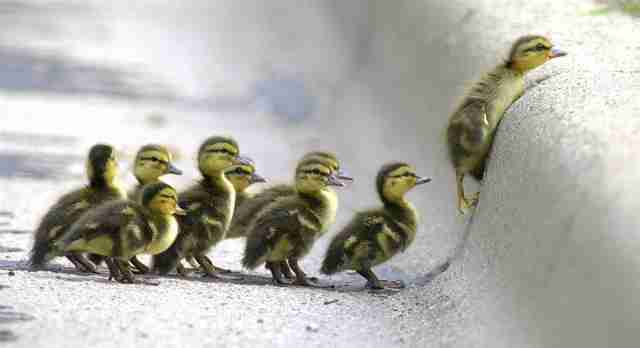 These little duckings really needed some help once they got to the curb.